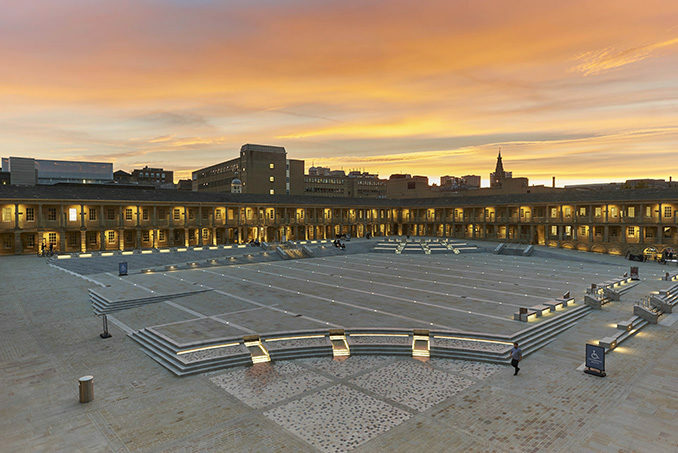 The Piece Hall in Halifax has undergone a multi-million-pound conservation programme that has transformed the Grade I listed building into a landmark visitor destination, with heritage interpretation, three levels of shops, independent new start-ups, restaurants and businesses, as well as a reimagined central courtyard designed by Gillespies. Calderdale Council delivered a high-quality regeneration scheme to secure the 238-year-old building’s future. 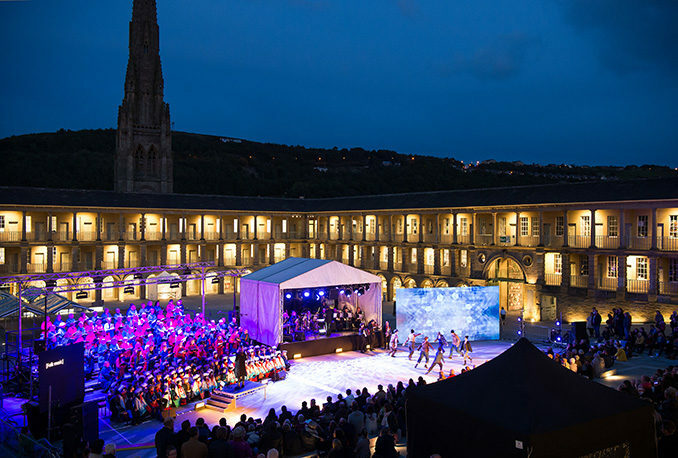 The historic fabric was sensitively and expertly conserved, and modern facilities introduced to create an international destination at the centre of the vibrant cultural quarter, which is making a major contribution to the regeneration of Halifax. 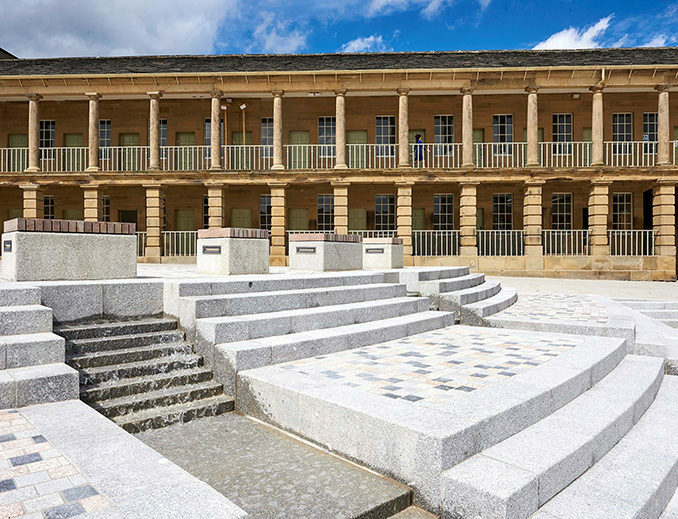 The Piece Hall transformation project was made possible by funding from Calderdale Council, a £7 million grant from the Heritage Lottery Fund – thanks to National Lottery players – and support from the Garfield Weston Foundation and the Wolfson Foundation. 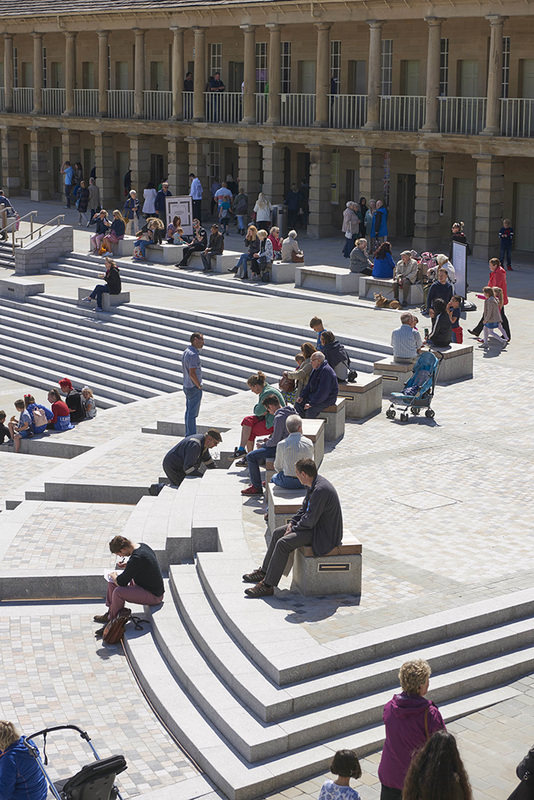 The Piece Hall Trust, an independent charity, runs the building for public benefit and to ensure its sustainable future. 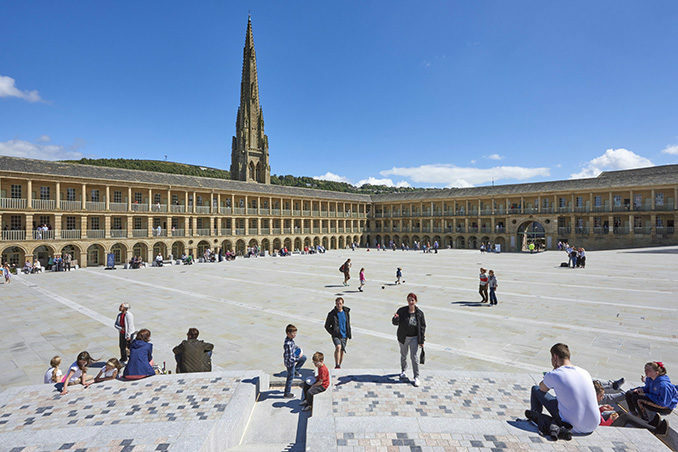 When built by the Georgian wool merchants and manufacturers of Halifax, The Piece Hall was an ambitious and prestigious building. It is a fine example of an eighteenth Century northern cloth hall which was built specifically for the trade in “pieces” of handwoven cloth. Following Calderdale Council’s vision, LDN Architects were commissioned to carefully reimagine the building into a contemporary retail and leisure destination. 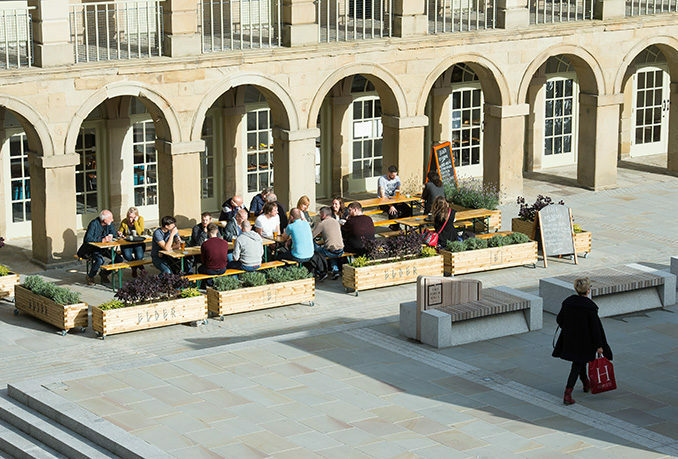 Gillespies has delivered an improved public realm and a dynamic courtyard space that now houses The Piece Hall Trust’s year-round programme of events. 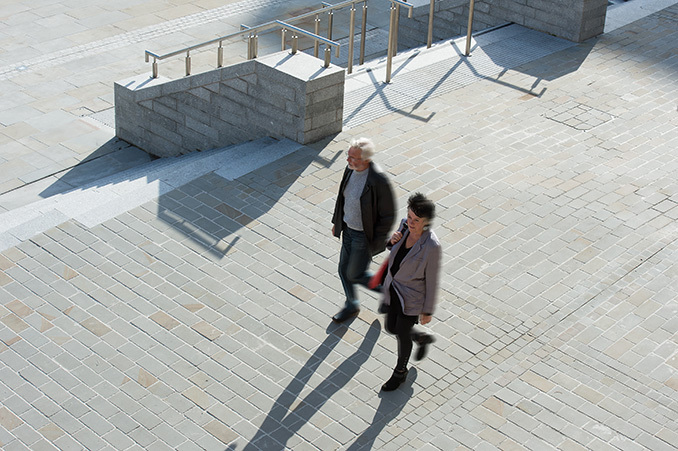 Gillespies was commissioned to significantly improve the quality of the three existing gateways, a new gateway to the east and to create a destination central courtyard. The three existing gateways have been updated with uplighters and high-quality natural stone paving. 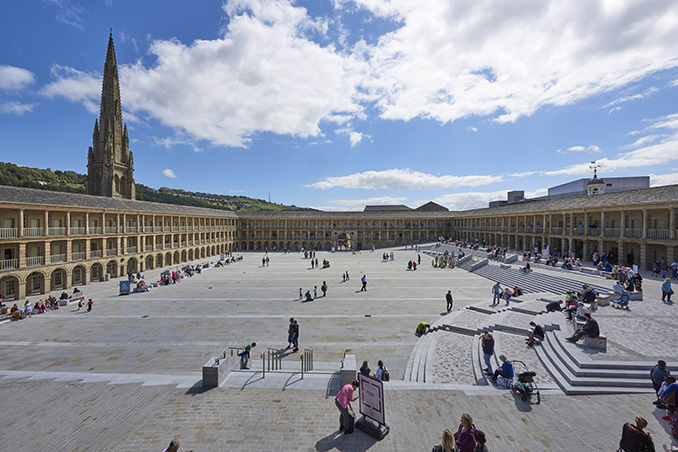 A new gateway has been created through the east wing of The Piece Hall creating a new link between the town centre, the railway station and the new Central Library and Archives; encouraging increased footfall through the Piece Hall courtyard. 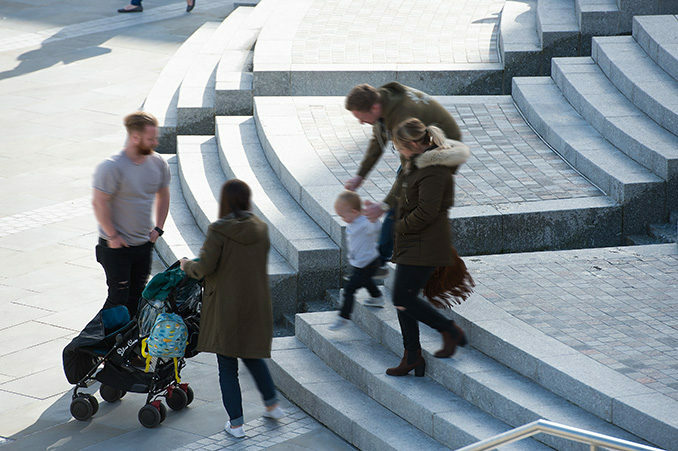 The courtyard has been transformed into an attractive, open and accessible ‘Town Square’ that offers a contemporary and flexible space for an established seasonal programme of events and festivals. The feature steps, fountains, bespoke furniture and lighting all contribute to the contemporary design language which is sensitive and restrained, to enhance the impressive architectural features and materials of the classical building. To animate this space and to overcome the level changes, two cascading water features have been introduced to the north-west and south-east corners and subtly interpret the historical importance of water in the production of cloth. Traditional materials were selected and arranged to provide a unique, high-quality finish that subtly reflects the geometry of the historic building. Particular consideration has been given to the evening and night time atmosphere through extensive lighting design which enhances the beauty and significance of the building and ensures The Piece Hall is enjoyed long after the sun goes down. Particular consideration has been given to the night time economy, to ensure that the Piece Hall remains active, safe and attractive in the evening. The dramatic building facades have been up lit with ground lights and these are extended across the central courtyard to help define the public space. The expressive lighting design redefines the public space and announces it as one of the town’s most exciting night time destinations. Interpretation Designers | Campbell and Co.